"Each and every-one of the following super-foods has a specific benefit for your liver. All of the following super-foods are also contained in every scoop of Maximum Recovery"
Turmeric is a very strong antioxidant for the liver, it helps boost enzyme activity, enzymes are important because they help your liver filter out and flush out heavy metals from your blood. Tumeric also has an anti-inflammatory effect that helps to soothe your liver if it happens to be inflamed to due to certain liver diseases. The amino acid found in Carrots is known as beta-carotene, your liver converts this into vitamin A. This not only helps keep your liver healthy but also helps your liver produce something called bile. Bile is what removes waste from your liver, and it ends up staying in your liver acting as a defense shield, it gets triggered when fats are starting to enter... and as soon as fats are starting to enter it’s quickly called into action, helps your liver flush out unwanted fats and toxins instead of storing it. Beetroots contain a very high number of powerful nutrients that are excellent for cleansing and detoxifying the liver. Beetroot also contain betaine, betaine helps the liver cells to not only eliminate toxins, but also contains a fiber known as pectin, this comes in to give your liver another once over, to help clear toxins that have already been flushed out from the liver, the benefit of this is so that the same toxins don't build up again as easily. Kale contains something known as “phytonutrients” this helps your liver fight serious ongoing liver damage such as cirrhosis and liver cancer. Kale contains several important compounds such as indoles which is derived from glucosinolates that helps your liver fight and re-generate healthy liver cells as much as possible. Blueberries can slow down liver diseases and help prevent further liver damage, they are rich in vitamin C and vitamin E these vitamins play a role in protecting your liver from abnormal cells developing. Wheat-grass is rich in vitamins A, C, and vitamin E, iron, calcium and magnesium. Wheat-grass can help remove deposits of drugs, heavy metals, and cancer causing from your bloodstream as well as remove toxins from the liver. Wheat-grass is a recommended green for many types of treatments and recoveries because of the high content of chlorophyll it contains, but especially for any type of liver diseases and or helping a damaged liver tissue in the development of new cell generation. The glucosinolates found in green cabbage provide liver detoxifying enzymes to help flush out toxins. Sulforaphane is another unique substance found in green cabbage that can help increase the production of detoxification enzymes. Sulforaphane works by stimulating the production of glutathione which is the body's internally produced antioxidant, that helps play a major role in liver detoxification. Barley contains caffeic acid and p-coumaric acid, both of which are antioxidants and also great for reducing inflammation. Caffeic acid may help eliminate toxic chemicals such as lead or nickel by binding to them, making it easier for the body to expel them. P-coumaric acid is also found in honey and has been found to help bees detoxify certain pesticides. Among the many benefits offered by this plant we find the presence of superoxide dismutase ,which is considered one of the most important antioxidative enzymes. Barley grass contains zinc, selenium and copper; its chlorophyll content stimulates the elimination of waste materials, and it is also a great support for the detoxification of the liver as it enhances metabolic processes. Is known for its high content of phytoestrogens. Some phytoestrogens have the ability to inhibit the growth of the Hepatitis C virus (HCV). Alfalfa prevents the absorption of cholesterol, helping the liver detoxify and inactivate harmful carginogens contained in food before they enter the bloodstream and affect other organs. Is a concentrate of sea plants have that help boost the body´s immune system helping it fight diseases like liver cancer. It also has the ability to lower blood pressure and cholesterol and help reduce toxins in the liver. Kelp has the ability to attach to toxic chemicals in the intestine. As it binds to these chemicals, kelp can help diminish the quantity of toxic chemicals that are absorbed by organs such as the liver. Spirulina has been found to reduce the levels of lipids in the blood. It has beneficial effects for the liver, as it increases “good cholesterol” (HDL) and decreases “bad cholesterol” (LDL), at the same time that it corrects liver function. Chorella is an edible marine algae that contains many beneficial compounds such as chlorophyll, vitamin B2, as well as calcium, zinc, iron and selenium. 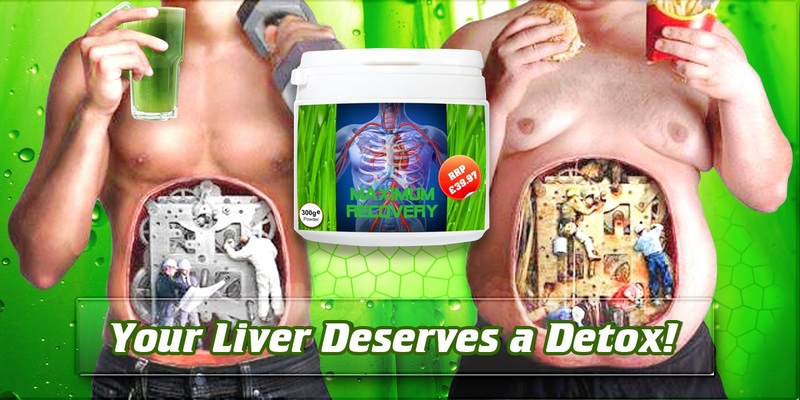 It is known for its extraordinary ability to detoxify the liver. Nettle is a plant whose leaves contain anti-inflammatory qualities. It also possesses antioxidant qualities as it activates multiple antioxidative systems, impacting directly on liver health. It has high content of selenium, which is important for the formation of enzymes that help diminish the products of oxidation in the liver. Sulfur and chlorine as well as carotenoids, are all present in tomatoes. Carotenoids have important antioxidant and anti-inflammatory properties, while sulfur and chlorine can help the liver dissolve gallstones in the gallbladder. The gallbladder and the liver are closely connected in the functions they perform, therefore, helping the liver helps other organs as well. Spinach also contains a major source of glutathione, that helps trigger the toxin cleansing enzymes of the liver. Spinach is low in fat and even lower in cholesterol making it an excellent food during a liver detox and cleanse. Some other benefits of spinach is that it’s rich in minerals zinc, niacin, fiber, thiamin, folate, calcium, iron, magnesium, phosphorus, potassium, copper, manganese and also rich in vitamins A, B6, C, E, and K.
Parsley is a great source of high doses of nutrients such as vitamin C and A, which are important for liver functions as they reduce inflammation and help reinforce the immune system. Parsley contains flavonoids such as apigenin, and antioxidants like beta-carotene, needed to transport oxygen, to fight off the effects of free radicals and to rid the body and liver of fat deposits. Quinoa is one of the few plants that holds all the essential amino acids for a complete soruce of protein. Quinoa is free of cholesterol, so it is a perfect source of cholesterol-free protein. When eaten, quinoa combines with the bile acids that the liver produces and is then excreted from the body. In order to produce these bile acids the liver must draw cholesterol from the blood, decreasing the amount of bad unhealthy cholesterol present in blood. Acai berries were originally discovered in South America. Although much research is needed to confirm the claims made about acai berry´s health benefits, studies have demonstrated that this berry contains the highest antioxidant potential among many fruits and vegetables tested. Its consumption may also help protect from alcoholic liver diseases, hepatic injury, and increase the content of super-oxide dismutase in blood. Among the berries, bilberry (original from Northern Europe) is the one with the highest content of anthocyanins. These components give bilberry its high antioxidant potential, as well as its anti-inflammatory and antibacterial effects. Anthocyanins also help improve insulin secretion and lower lipids in blood, impacting directly on liver functions. Lemon is a citrus fruit.The oil extracted from citrus fruits contains a biochemical named nobiletin, a flavone. Flavones are antioxidants and can also have antimicrobial and anticancer properties as well. Nobiletin has been observed to halt liver cancer [i]and it also stimulates healing processes in the liver cells by limiting the production of nitric oxide (remember that oxides in the body contribute to oxidation). Everyone knows apples are one of the healthiest foods. Yet, few of us are aware of the amazing potential that this fruit has to fight liver cancer. Apples and apple peels in particular, have been found to contain strong antioxidation potential, which can help prevent the growth of liver cancer cells. A great source of vitamin C. A serving of acerola cherries contains about 13 times more vitamin C than an equal serving of orange juice. Like other berries, acerola cherry is an excellent source of anthocyanins, which have beneficial effects for the liver as they lower lipids in the blood and help insuline secretion. Among American berries, acerola cherry was found by a study to have the highest antioxidant potential. Like other berries, it contains high amounts of vitamin C (a powerful antioxidant), which supports the prevention of oxidation in the liver. The content of flavonoids in blueberries provides anti-inflammatory attributes. Remember that inflammation hinders the functioning of the liver, therefore, blueberries are a good way to help the liver function properly. Broccoli contains diindolylmethane, a component also found in other foods like cabbage, brussels sprouts and kale. Diindolylmethane has been found to be a very strong plant anti-androgen, that is, it can help regulate hormone imbalance. In the liver, diindolylmethane can facilitate healthy estrogen metabolite ratios by helping the liver get rid of estrogen. Red Reishi mushroom contains active compounds called ganodermic acids, which have been observed to improve liver functions as well as aid in the regeneration of liver cells. Reishi has cholesterol-lowering properties and also inhibits the production of serum cholesterol. Cordyceps mushroom.C. sinensis, by its scientific name, contains compounds that enhance the activity of enzymes such as that of superoxide dismutase. Cordyceps mushrooms also possess intense free radical scavenging activity, that is, a high antioxidant capacity, which indirectly benefits the liver by inducing the apoptosis (programmed death) of cancer cells. For thousands of years, this mushroom has been recognized as having important medicinal and nutritional properties. In animal tests, shiitake has proved to enhance the production of antibodies to combat Hepatitis as well as improving liver function in general. Cauliflower bolsters enzyme production in the liver and supplies antioxidants that help reduce oxidation processes in the body. The content of glucosinolates present in cauliflower sprouts is associated with a decrease in incidence of some cancers -including liver cancer-, and has also been observed to enhance detoxification processes by improving the activity of several hepatic enzymes. Although more studies are needed to confirm this hypothesis, it seems that Maitake mushrooms can help inhibit de accumulation of liver lipids, and the increase of serum lipids. Concentrations of Maitake polysaccharides known as “D-fraction” are thought to be helpful in the treatment of liver cancer, even more so when D-fraction is used in addition to chemotherapy. Flaxseed oil is very rich in vitamin A, which is considered a Nonenzymatic antioxidant, helpful in treating Hepatitis B. Flaxseed binds to hormone receptor sites, preventing harmful hormones from entering your bloodstream. This reduces the liver´s burden of clearing the body of excess hormones, and thus the liver can function more efficiently. Studies on Vitamin C have shown that this vitamin protects the liver against hepatotoxic substances. Vitamin C also enhances antioxidant activity in hepatocytes. In patients with liver disease vitamin C is found in lower quantities, however, it is crucial for metabolic activity in the liver; therefore, vitamin C intake (either through food of supplements) is of high priority to improve liver health.